This 4-minute stretch can improve firefighter performance. 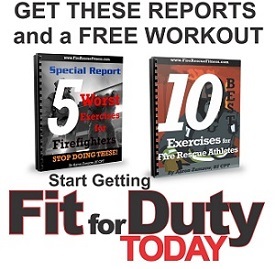 Do These 3 Things to Stay Fit in (and out) of the Firehouse. The Best Firefighter Workouts Have these Components. Fit Firefighters Should Do This Everyday!